Several members of the Ocean Twilight Zone (OTZ) Project team just returned from a very successful cruise aboard OceanX’s research vessel, the M/V Alucia, out of the Bahamas. Since this location is quite different from the OTZ Project site off the coast of New England, a major goal of the expedition was to examine how these distant--yet connected--regions of the twilight zone differ. Scientists conducted net tows to collect animals at specific depths within the twilight zone, and went down in a manned submersible to observe life there. They also collected water samples for environmental DNA analysis, a kind of forensic tool that allows scientists to sleuth out organisms the scientists weren't able to physically catch. 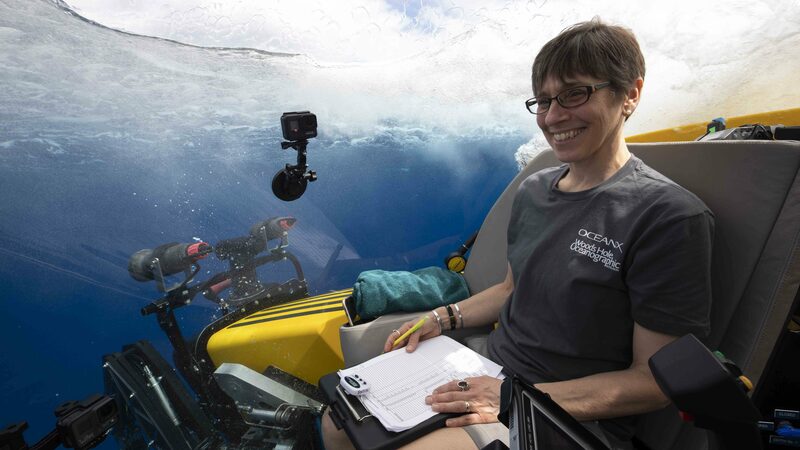 The team worked closely with OceanX to share their journey through video diaries and photographs of the extraordinary creatures brought on board throughout the cruise. A video journalist from Quartz Media was also aboard and made this short video. It is hard to describe what it’s like to physically travel down to the twilight zone. In addition to extraordinary bioluminescence, scientists were able to observe beautiful jellies and small fishes like bristlemouths, hatchetfish, and lanternfish, all in their natural habitat. 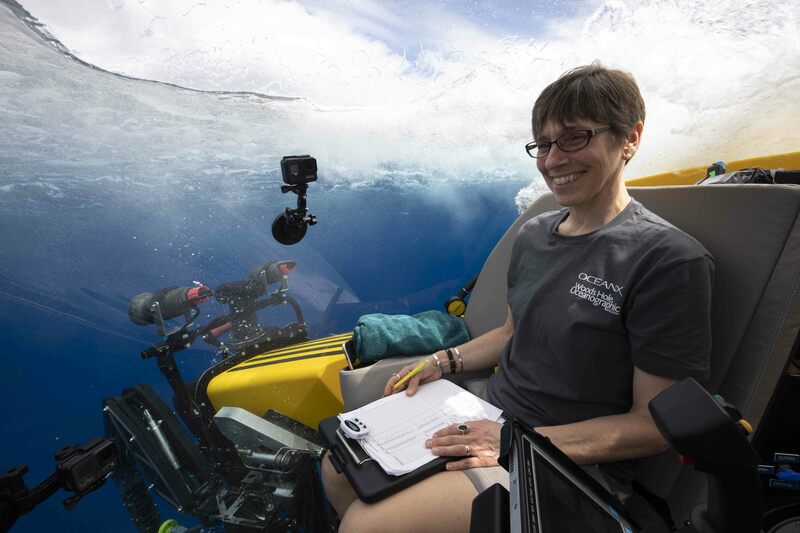 The submersible was equipped with a low-light camera that is remotely operated from inside the sub, making it possible to capture some stunning footage of critters during the dives to share with people back home. One of the nets used onboard was the Multiple Opening and Closing Net and Environmental Sensing System, or MOCNESS for short. The MOCNESS is a high tech net system used to study the abundance, vertical distribution, and biodiversity of twilight zone animals. It consists of up to nine, fine-mesh plankton nets that can sample a range of organisms like copepods, krill, fish, jellies, and salps. What makes the MOCNESS different from other nets is that a shipboard computer is able to control the opening and closing of the nets, allowing for the depth-specific collection of animals. This is particularly important when studying twilight zone animals because many move to the surface at night to feed and then back to depth during the day to avoid predators. The MOCNESS allowed us to begin to address some major questions: What does the diversity of life look like in the twilight zone? What are the food web linkages between organisms from the twilight zone and from other parts of the ocean? How does the distribution of twilight zone organisms change throughout the day within the water column? Continued sampling in different areas throughout the year will help us tackle these critical questions. After each net tow, regardless of whether it was the middle of the night or afternoon, the wet lab was buzzing with activity. Scientists and crew alike came to see the extraordinary catch. WHOI Postdoctoral Investigator Paul Caiger took some stunning images of the creatures that were brought on board, including a favorite of the science crew--an awesome larval pelican eel, Eurypharynx pelecanoides. Most life forms in the twilight zone are tiny—a few inches or less—but even the smallest twilight zone inhabitants are powerful through sheer number. 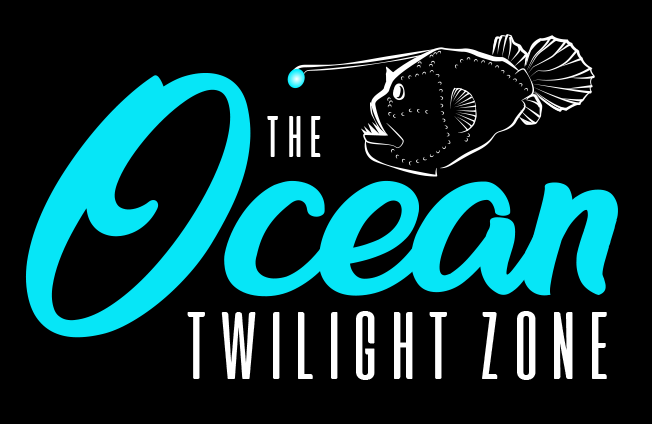 One of the goals of the OTZ project is to determine how many animals there are in the twilight zone and what kind of animals they are. Going to different areas is critical to help us understand how abundance and types of organisms change geographically. Even from onboard observations, it was clear that this area has far fewer organisms than off the more nutrient rich waters of New England.